Rosacea, a condition similar to acne, can be devastating to a person’s self-esteem. RGV Cosmetic Surgery & Vein Center offers rosacea treatments to women and men living in and around the Rio Grande Valley, Brownsville, McAllen, and all of South Texas. Rosacea is an inflammatory condition of facial skin that resembles the flushed-face expression of embarrassment. Usually, rosacea first appears as a flush or red patch. The most common symptoms include facial redness and inflammation around the nose, cheeks, chin, and forehead, as well as visibly dilated blood vessels and a burning sensation. If left untreated, rosacea worsens over time. The redness becomes more persistent, and bumps and pimples that can look like blisters appear. While the cause of rosacea is not currently known, there are a number of treatments that can manage its common symptoms. Without the use of advanced laser treatments, management of rosacea relies on oral and topical antibiotics. In some cases, rosacea flare-ups can be minimized by using sunblock and limiting sun exposure. RGV Cosmetic Surgery & Vein Center offers laser treatments for both male and female patients with rosacea that are virtually pain-free. We use the AURA Laser, which is commonly used to treat other chronic skin conditions such as red birthmarks and flushing. This treatment heats up the walls of the blood vessels responsible for rosacea symptoms, closing them down and eliminating flare-ups. What Can I Expect from Rosacea Treatment? Rosacea treatment with the AURA Laser requires minimal downtime, allowing patients to return to work and other normal activities immediately after treatment. However, this treatment doesn’t prevent the development of new vessels and other rosacea symptoms. As a chronic condition, maintenance laser treatments are needed to control symptoms over the years. Patients typically notice an improvement with each treatment, finding that their skin becomes more natural-looking over time. How Much Do Rosacea Treatments Cost? To determine the cost of your rosacea treatments, we invite you to schedule a private consultation at our practice. During your consultation, we will assess your cosmetic goals in order to pursue a treatment plan that matches your unique needs. Then, we will be able to provide you with a clear breakdown of the costs associated with your treatment. At RGV Cosmetic Surgery & Vein Center, we accept a number of payment and financing options, including cash, checks, money orders, major credit cards, and CareCredit® financing. We also offer simple and secure online payment options for the convenience of our patients. 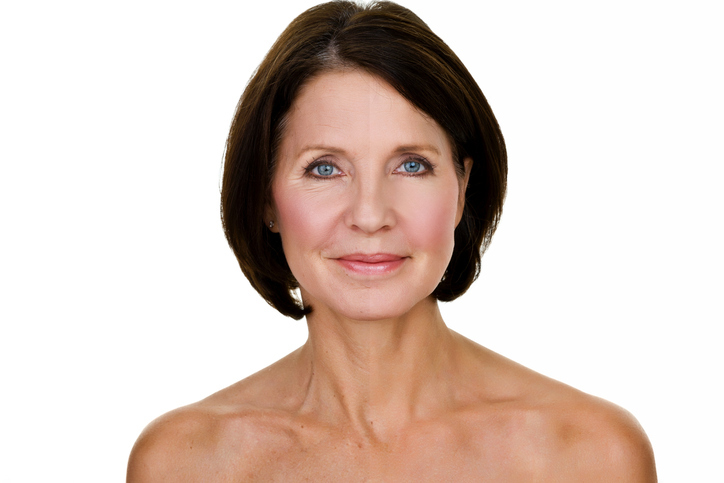 If you suffer from rosacea, you may benefit from a rosacea treatment at RGV Cosmetic Surgery & Vein Center. We offer this and a breadth of other services to patients from McAllen, Brownsville, the Rio Grande Valley, and all of South Texas.